Eindhoven, Netherlands, February 27, 2018 –(PR.com)– KUBUS expands global reach and impact. KUBUS, a software company offering BIM solutions for the AEC industry, announced today that BIMcollab, their BCF based cloud solution for BIM issue management, is now available in 4 of the world’s most commonly used languages: French, German, Spanish, as well as English. With this latest update KUBUS brings a scalable, localized solution for issue tracking to BIM projects around the world. BIMcollab users can now easily share, manage and collaborate in their own language. The language can be chosen per space and per user. This allows users to set their preferred languages per project, per user and per connected tool. The interface, the e-mail notifications and the generated reports will be in the team member’s language. With this expansion KUBUS is helping internationally organized teams to optimize their internal project communication. 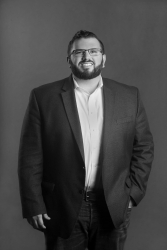 "As more and more companies across the globe manage their issues in BIMcollab, we want BIM teams to work in the way that's most comfortable and productive for them. In their own native language," says Erik Pijnenburg, CEO of KUBUS. Today, 7 of the 10 largest European construction companies are using the BIMcollab ecosystem and the platform helps people in more than 25 countries. Both facts indicate a growing demand for managing the complex BIM communication flows. BIMcollab gives BIM managers, project leaders and engineers the tools they need to collaborate about issues, in their preferred language. To optimize the communication between every stakeholder of the BIM project. – Visualize and validate complex discipline models. 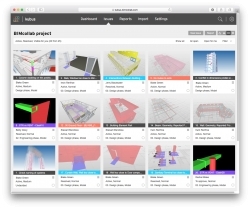 – Share, manage and collaborate BIM issues via the cloud. NextGlobal Excel Management Inc. Will Acquire the Business of Active Claims Management Inc.